Venture into the heart of the ancient Levant and explore the history, art and culture of today’s Israel and the Palestinian Territories. 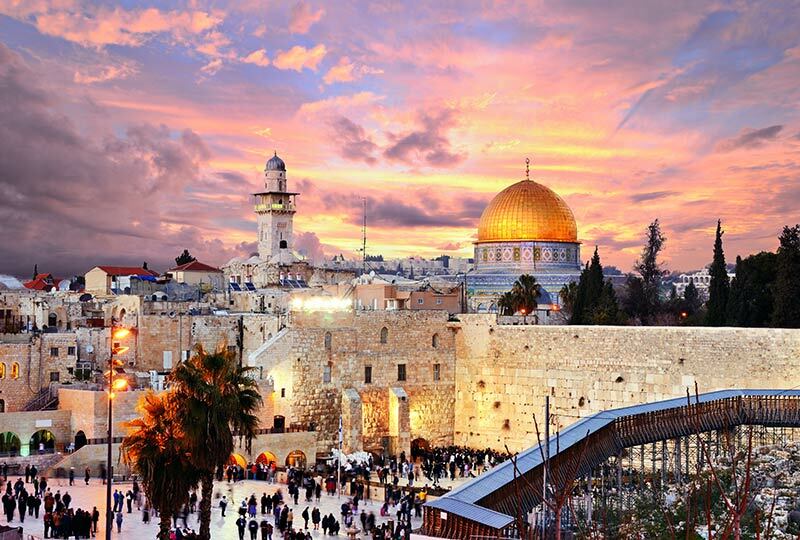 From the sacred sites and cobbled streets of Jerusalem’s Old City and Hebron to the skyscrapers of Tel Aviv and gritty Ramallah, this land is one of many contrasts, simultaneously ancient and modern, where tradition and history meet with the 21st century. Travel in the company of television presenter and former ABC Middle East correspondent Jane Hutcheon, who will lead you through key sites and hidden treasures of this fascinating world, to unravel the complex past and consider the controversial present. Arrive in Tel Aviv (Ben Gurion International Airport) on suggested Cathay Pacific flights from Australia or New Zealand via Hong Kong. Renaissance Tours or your travel agent can assist you with your travel arrangements. Transfer to the hotel in the Jaffa neighbourhood of Tel Aviv, and in the evening enjoy a special welcome dinner with Jane and fellow travellers. In the morning attend a talk by Jane, followed by a day of sightseeing in Tel Aviv. 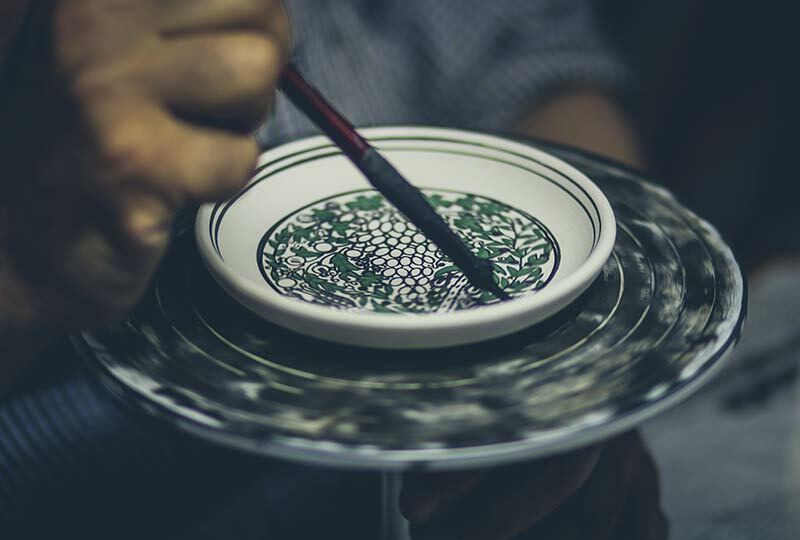 Amongst the attractions explore the Bauhaus neighbourhood, locally known as the ‘White City’, famous for its modernist design and the impressive Tel Aviv Museum of Art, showcasing the cutting edge of Israeli contemporary art. Today, spend the morning exploring landmarks in the old port city of Jaffa before visiting the Ilana Gore Museum overlooking the Mediterranean. Gore’s own work is displayed beside her eclectic personal collection, a treasure trove of pieces that spans back to Roman times. Spend the remainder of the day at leisure walking through the ancient and narrow passageways of the Old City or visiting Jaffa’s local galleries and markets. This morning, check out of the hotel and depart for the ancient port city of Caesarea. Built between 22 and 9 BC by King Herod the Great, excavations today reveal just a glimpse of the 8,000 acres of Caesarea Maritima at the height of its power. The city boasts an amphitheatre bigger than Rome’s Colosseum and was one of the largest artificial harbours of its time. 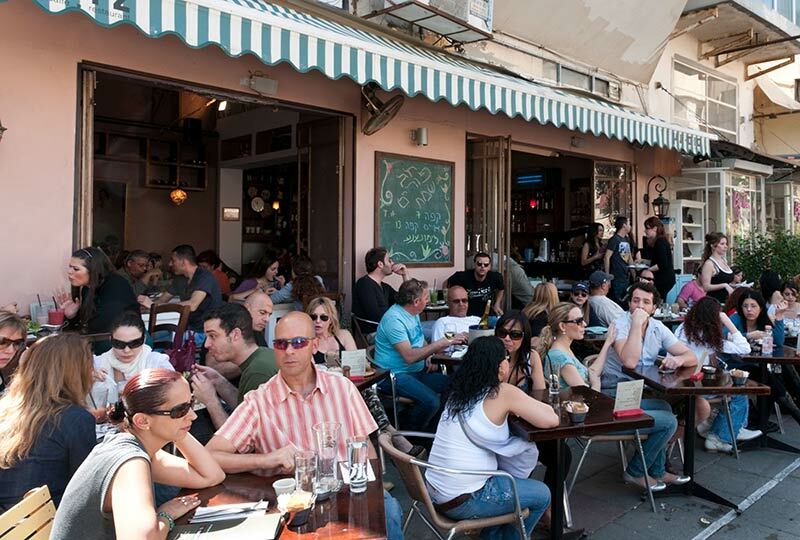 After lunch, continue to modern Haifa, a modern port city where Arab and Jewish populations live an interesting shared existence. 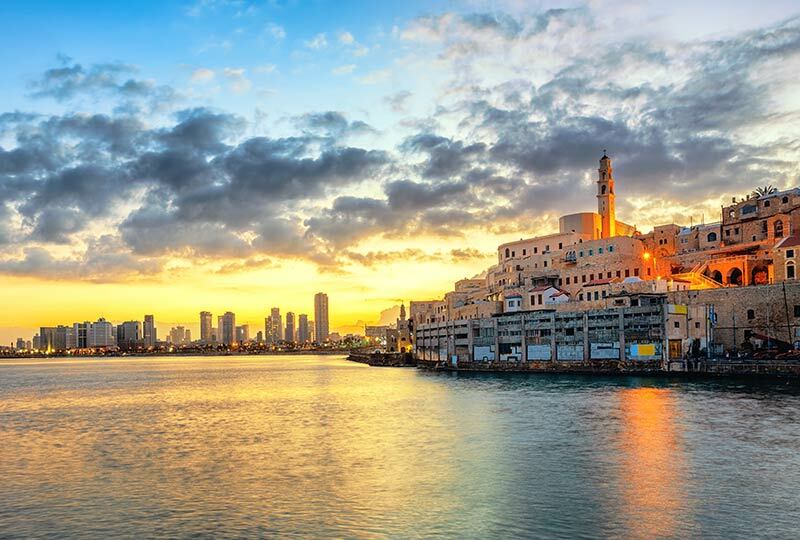 Visit the Clandestine Immigration and Navel Museum to discover the modern maritime history of Israel before checking into the hotel in the late afternoon. 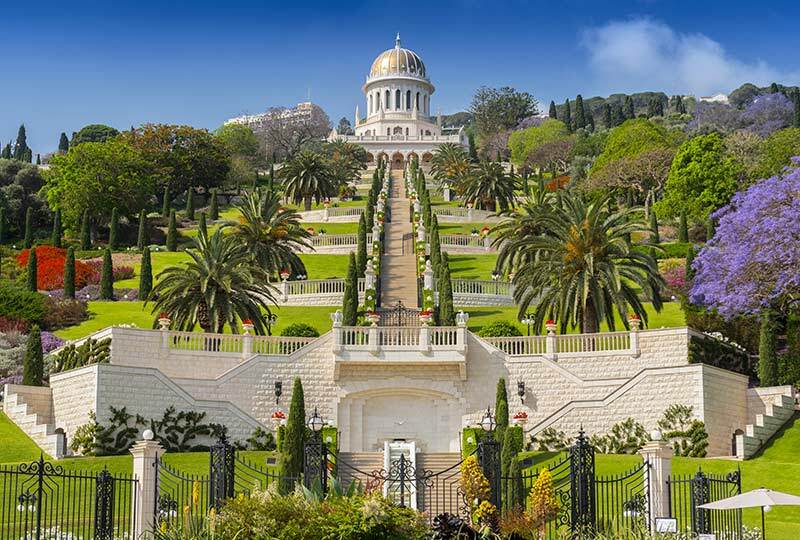 Depart Haifa in the morning beginning with a stop to admire the view of the Bahá’í Gardens atop Mount Carmel. Distinctly classical in style, the gardens stretch nearly a kilometre in length with 19 terraces of flowers, water features and statues. Depart for Acre, one of the oldest cities in the world with a history of over 4,000 years of continuous settlement. Discover the City Walls, Knight’s Halls, and Templars’ Tunnel, a 350 metre-long underground passageway connecting the Templar’s main fortress to the city’s port, along with Hammam al-Pasha, an ornamented Turkish Bathhouse in use from 1780 to the 1940s. After lunch, travel to the Sea of Galilee, the water that Jesus is said to have walked across and calmed a wild storm. 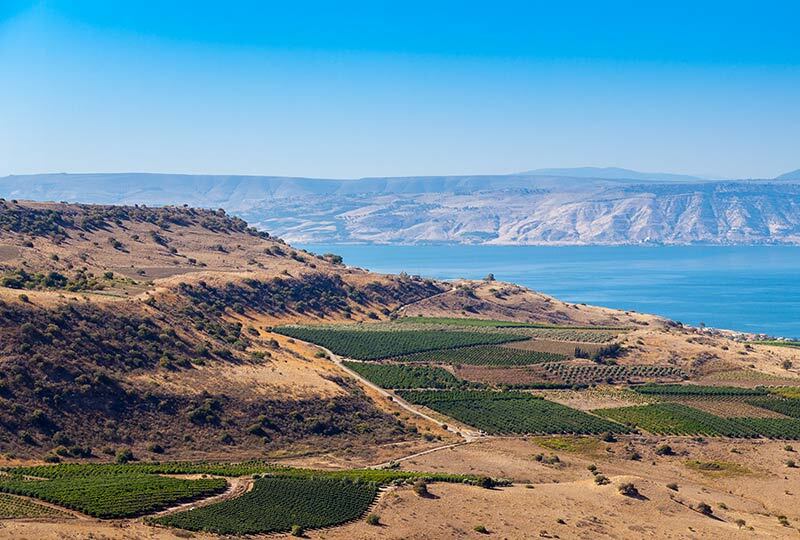 The Jordan River flows through the lake from north to south, with thousands of pilgrims travelling every year to be baptised where the waters meet. Check in to the hotel before dinner in the evening. Start the morning with a talk by Jane, followed by a visit to a local winery nestled in the Golan Heights. With climate conditions similar to Bordeaux, take a VIP tour of the local production process before enjoying lunch and a wine tasting overlooking the vineyards. In the afternoon journey along the banks of the Sea of Galilee stopping at the 4th century Church of the Multiplication of the Loaves and Fish decorated with elegant Byzantine mosaics. Continue to the Deganya Kibbutz, the oldest collective settlement in Israel, and enjoy a visit accompanied by a local member of the kibbutzim. Return to the hotel to enjoy a Shabbat dinner. Check out from the hotel and travel to Jericho, believed to be the oldest continually-inhabited city on earth. The city is home to the world’s oldest fortification wall, and is the site of many biblical stories, including Jesus’ ‘Parable of the Good Samaritan’ and the Old Testament capture of Jericho by the Israelites, with their shouts and trumpets bringing the walls tumbling down. Continue to Jerusalem, home for the following six nights. Enjoy dinner at a local restaurant. After breakfast, join Jane for a talk before visiting the Christian and Armenian Quarters of the Old City. Enjoy panoramic views of the city from the Mount of Olives, and visit the Garden of Gethsemane and the Church of All Nations, a mosaic-covered church built in 1924 by architect Antonio Barluzzi. Walk the Via Dolorosa, held to be the path that Jesus walked on the way to his crucifixion, to the Church of the Holy Sepulchre. Enjoy dinner at the American Colony where history makers from Lawrence of Arabia to Churchill have rested their heads. This morning, depart for a visit to the fortress of Masada, rising 400 metres above the desert plain. Ascend by a cable car to the ancient synagogue of Masada and explore the ancient fortress. Here was the last stronghold of the Jewish Zealots in the struggle against the Romans. From the top of Masada the outlines of the Roman encampments are still visible below. Continue to the 2,000 year-old ruins of Qumran, overlooking the Dead Sea, and where the Dead Sea Scrolls were found by a Bedouin shepherd in 1948. The afternoon is free to enjoy a swim (or a float rather!) in the Dead Sea. Return to Jerusalem for an evening at leisure. After breakfast, explore the Jewish and Muslim Quarters of the Old City, wander through the recently restored Roman Cardo main street, and tour the Western Wall Tunnels. View the Temple Mount, the holiest site in Judaism, the third holiest in Islam, and a revered site to Christians. 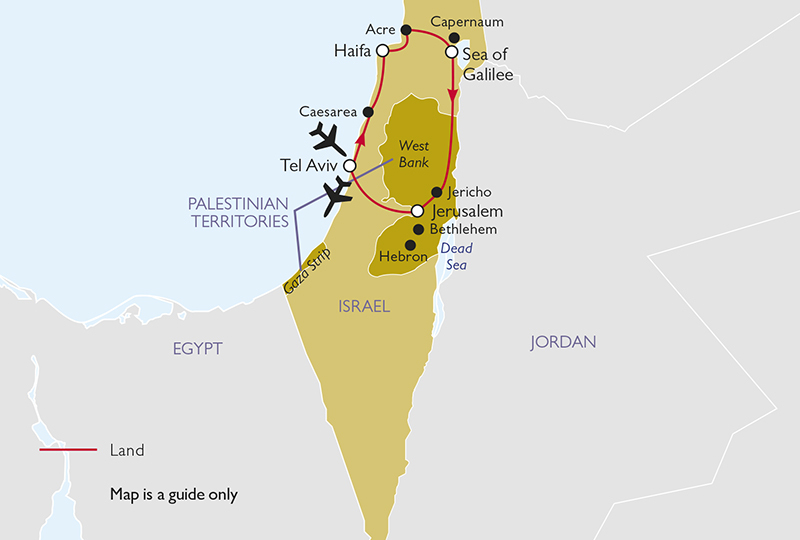 Today, embark on a full-day tour to Bethlehem, Hebron and Ramallah, all situated in the West Bank section of the Palestinian Territories. In Bethlehem, enjoy a walking tour of the Old City and its seven historic quarters, laid out in mosaic style around Manger Square. See the traditional architecture of the Kawawseh and Najajreh clans and visit the Nativity Church that was built by Byzantine Emperor Justinian in 530 AD. 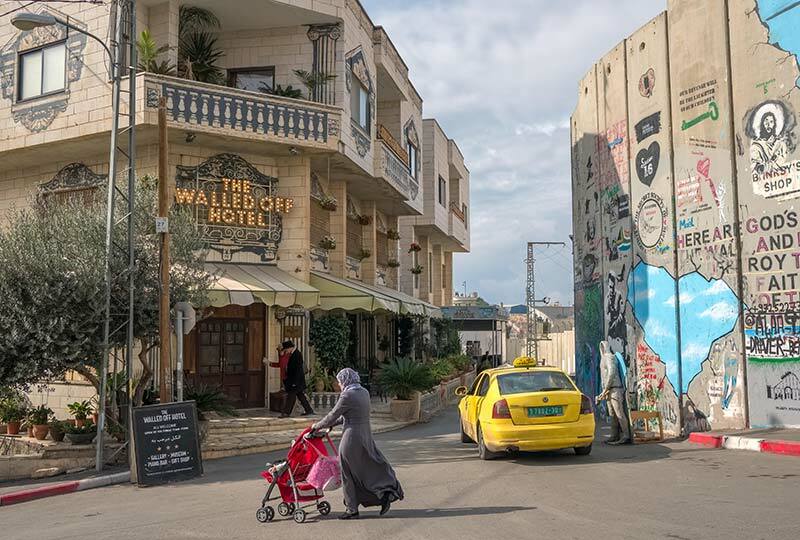 As you drive by, keep watch for the politically-charged street art of British artist Banksy before visiting the Walled Off Hotel, a hotel with the saddest view in the world. After lunch, travel to Hebron and visit major Jewish and Islamic sites including the Tomb of the Patriarchs. Continue to the archaeological site of Herodium, where the tomb of the ruthless Herod the Great was discovered less than ten years ago. Herod built a fortress and seven-story palace to commemorate a victory over his Parthian enemies in 40 BC. Continue to Ramallah with a visit to the Yasser Arafat Museum, about the revered former leader of the Palestine Liberation Organisation whose life captured the Palestinian experience on the world stage. Return to the hotel the early evening. Spend the morning at the Yad Vashem Holocaust Museum, Israel’s official Holocaust memorial, and the adjacent Museum of Holocaust Art. 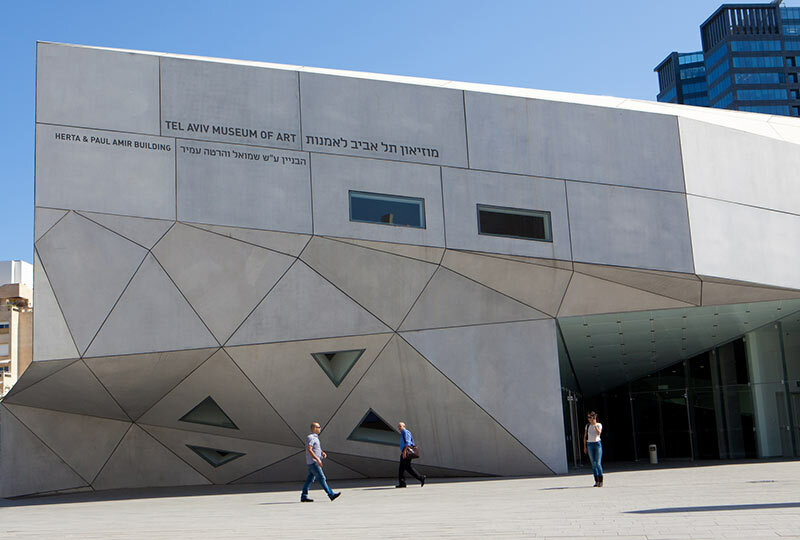 After, visit the Israel Museum, home to one of the world’s largest archaeological collections and the Shrine of the Book, housing the Dead Sea Scrolls, the oldest biblical manuscripts. In the evening, enjoy a special farewell dinner with Jane and fellow travellers. Tour arrangements conclude with a transfer to Ben Gurion International Airport. Renaissance Tours or your travel agent can assist you with your flights and other travel arrangements. Australian and New Zealand passport holders do not require a visa to visit Israel. Items of a personal nature, including telephone, laundry, taxis, room service, minibar etc.